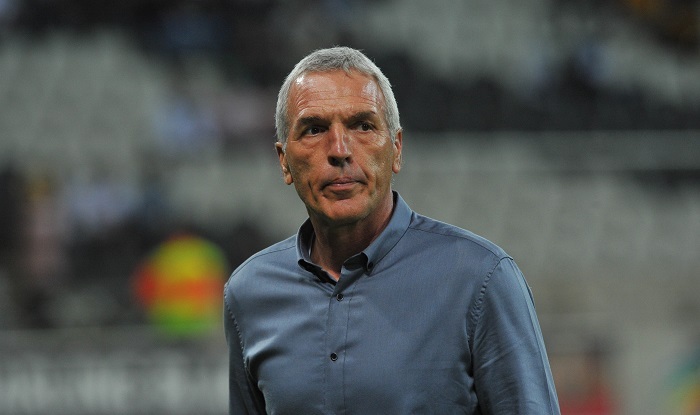 Kaizer Chiefs’ coach Ernst Middendorp has admitted that his side know that they can do better after the 1-1 draw with Black Leopards over the weekend. The German coach made seven changes from the team that suffered a shock 1-0 loss to Baroka for the game against Leopards, and despite an improved performance they still dropped more points. The result against Leopards means that the Amakhosi remain seventh on the Absa Premiership log and are now mathematically out of the title race with their arch-rivals Orlando Pirates 13 points ahead of them and only four games left to play. Middendorp, speaking to media after match, admitted that although there was an improved showing after the loss against Baroka, he still believes that his side can do better. ‘In the second half, the final activities in the final third, definitely we know we can do better, and the result is definitely something we’re not happy with.